Crackers for snacking. No artificial colours or flavours. 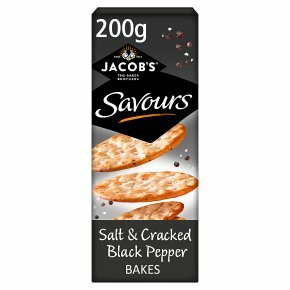 Suitable for vegetarians.Salt & cracked black pepper crackers Jacob's Savours, baked wheat crackers flavoured with delicious ingredients for a tasty snack.